The Kodak EasyShare Z650 is a cute camera on first appearance, but it isn't designed just to look cute. It is designed to be compact and lightweight yet also highly effective when it comes to capturing those Kodak moments that you can't just let slip by. With this compact digital camera you will always have a camera on hand to capture those unexpected moments that life brings along. Many people who love this camera initially purchased it because of its compact size and light weight. It weighs approx. just 1 pound and is designed like a small square with an extended edge for your hand on one side. This design makes it ideal for carrying along on vacations or day trips, or just to keep on hand in daily life for those unexpected moments you want to remember forever. One potential downside for some people is the 2 inch LCD screen. This is kind of small and will make seeing the finer details in images harder for some, but it is to be expected considering the overall size of the camera. The EasyShare Z650 is a camera designed for the everyday picture taker with no photography knowledge as well as aspiring photographers with the desire to capture professional quality lens. There are over 20 different settings that allow the camera to automatically adjust to the current environment, but there are also manual controls that allow the users to set everything just as they want it. When the right settings are chosen, you can take very detailed, bright, clear photos that are suitable for prints up to 14x19 inches. This is rather impressive and unexpected for such a small camera. Small things can in fact be mighty! The camera has a 10X zoom which gives plenty range to bring subjects from the distance up close for very clear, bright pictures. You can also take videos in one continuous stream with this camera. One great feature on the Kodak EasyShare Z650 is the ability to add some enhancements to images directly from the camera. Editing doesn't have to wait until you get your images uploaded to a computer! The camera operates off of AA batteries. The best way to determine whether any camera is right for you is to ask someone who has owned the camera for awhile what they think of it. 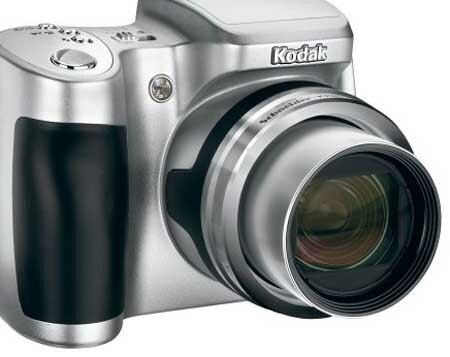 If you don't know anyone who owns the Kodak EasyShare Z650, you have to consult online consumer reviews to get this personal opinion. When you read online reviews for this camera you find that the majority of people report that it takes crystal clear, beautiful pictures. Most really like the design of the body as well since it is lightweight, easy to grip, and all of the buttons and controls are placed in easy-to-find, no-look positions. Most consumers believe that this is an exceptional camera because of the features offered for a rather low, affordable price. The biggest complaints against the EasyShare Z650 tend to be that you cannot zoom in and out while taking videos and there is no image stabilization which would make images clearer when zooming out far. Even with these complaints, the vast majority of users value the camera for low cost and exceptional picture quality. The Kodak EasyShare Z650 is great for anyone looking for something lightweight and very simple to use or an affordable camera that still has a lot of advanced features.